18th C. Chinese Mandarin Enameled Porcelain Bowl. 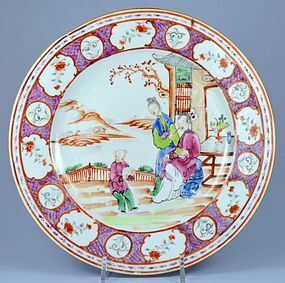 18th C. Cinese Mandarin Enameled Porcelain Plate. 18th C. Cinese Mandarin Enameled Porcelain Bowl. 1770s.